I didn’t have to work too hard to become a prepper. I guess I was a bit of a prepper by birth. My dad grew up in a cash challenged household and successfully hunting for squirrels and rabbits was often the difference between having a good dinner and going to bed hungry. I did not grow up that way, but Dad imparted some of that sensibility to me and my brother. My brother and I also had the experience of growing up in the waning years of the Cold War; Russian nukes were definitely a part of our world view. When Dad retired from the Navy, having finished his time as the Readiness Officer for the Pacific Fleet, he selected our new home in part based on prevailing winds and distance from potential targets. We settled in an isolated area of the Northern California coast, so earthquakes became a part of our threat assessment. All these things were not at the forefront of my childhood, but they were a constant back beat that guaranteed I would become a prepper. When I moved on to college and grad school, and eventually on to a having a family of my own, I let the prepping ways slip out of my life to a large extent. I did think briefly of social collapse during the Rodney King riots, and stood in an actual line to buy 9mm and two spare mags for my PT92. We always kept firearms, but for the most part we were a standard suburban family. We spent more than we made, lived in a house we couldn’t really afford, and kept enough food for tomorrow night’s dinner. 9/11 woke me up, and the terrible hurricane seasons of 2005 and 2006 slapped me right back to my prepper upbringing. Hurricane Charlie caught us short of supplies when it rolled through our back yard. As I sat without power for four days eating cold cereal (that I had been lucky enough to secure by hand to hand combat when panicking masses, including me, made a pre-storm run on the super markets), I vowed to get back to where I should have always been right then and there. Having just been through it, my wife didn’t fight me much on the propane stove and cylinders, the dozen 7 gallon water cans, and the 25 gallons of back-up gasoline. Nor did she mind when I stocked up on several cases of canned fruit, vegetables, baked beans, Ramen Noodles, 4 cases of MREs, and a five gallon bucket of quick oats. Numerous flashlights, lanterns, radios, and assorted batteries, as well as spare charcoal for the grill were added to our emergency supplies. She even let me get a chainsaw for downed trees, some blue tarps in case the roof blew off, an inverter for my truck, and a stack of plywood for the windows. By the time I was done we were well supplied for several weeks’ worth of post disaster living, and when the next storm blew in I was not in line at the supermarket. It was not necessary to do much converting to get my wife fully behind the prospect of becoming a prepper.” Mother Nature did all the work for me on that one. 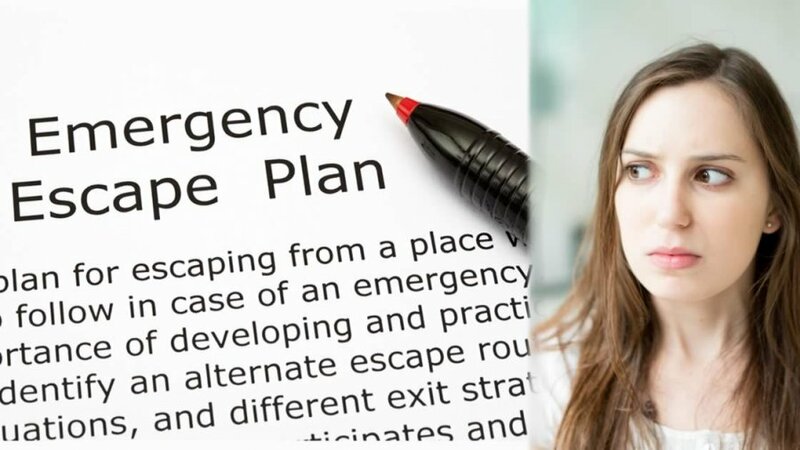 But a few years later, as we became housing-market crash refugees, I started feeling the need to get deeper into prepping than just the ability to make it through a few days until help arrived. I was going through a transformation. I was becoming steadily more aware of the dangers of our fiat currency in relation to our status as a nation in the rest of the world. I was waking up to the steady erosion of our constitution and the increasing over reach of our government. I was gaining an appreciation for some of the truly huge disasters that could occur, particularly those that affect the power grid. My prepping mindset continued to evolve, but my wife wasn’t ready to become a prepper yet. I think that initially my wife thought that I was just using these new found concerns as an excuse to get more guns and buy more ammo. Good things, granted, but only the tip of the iceberg where prepping is concerned. Then the food started coming in, and the seeds, and the water filters and rain barrels, and on, and on. I think that she thought I was losing my mind. But slowly, I started to introduce her to the threats. Our involvement in small farming was actually instrumental in turning her in the prepper direction. The government’s war on raw milk, heritage pigs, and small farmers in general impacted her deeply and she came to the conclusion that the only real explanation for these actions is a desire to control the food supply and thereby the people. The heavy-handed way that much of this is undertaken was appalling and a little frightening to her (me too, truth be told). By the time she finished reading One Second After she was almost ready to become a prepper. As my prepping advanced, our family’s direction began to shift towards a self-sufficient lifestyle. I realized that the best insurance against a long term crisis of almost any kind is the ability to grow what you need. Food storage did not go away, but now a lot of it is stuff that we have grown and canned. This is what finally sold my wife and made her finally admit that she had become a prepper, the fact that we could do it ourselves, and that we could get healthier foods in the process. Our food storage and production has not let us down. Although we have experienced no disasters since, natural or otherwise, we have had a series of personal financial setbacks. Through it all, we have not had to worry about feeding the kids and ourselves. When the chips are down, that is a huge relief in and of itself. With the cost of groceries being what it is, it frees up limited funds for other bills. That is the biggest benefit to prepping in my opinion, if you are well prepped there are some things that you just don’t have to worry about. It doesn’t take a hurricane or The End of the World to make this true; sometimes it just takes the regular pitfalls of life.